In these Terms, references to “we” or “us” are to ParadePins Ltd, a company incorporated in England and Wales whose registered office is at 7 The Labbott, Keynsham, Bristol, BS31 1BD. Our Company Registration number is 10060681. Our registered VAT number is 235 7050 22. The placing of an order anywhere on our Site does not constitute a contract. Order acceptance and the contract between you and us will only be formed on the despatch to you of the product(s) ordered unless we have notified you that we do not accept your order, or you have cancelled it in accordance with the instructions set out in the “Cancellations, Replacements and Refunds” section below. For the avoidance of doubt, a contract is not formed at the point in time that payment has been taken from you by Poppy Pins Ltd, nor at the point when you receive an email from Poppy Pins Ltd acknowledging receipt of your order. All prices are quoted in pounds sterling, as marked. The prices include UK VAT, unless otherwise specified. Any delivery charges are included, unless otherwise specified. All products and services are subject to availability. If a product is unavailable we will contact you to offer a similar alternative product prior to despatch. We are unable to deliver any items on Sundays or PUBLIC HOLIDAYS. Our deliveries are made by Royal Mail or third party carriers. We use Royal Mail Signed for services so a signature is required on delivery. If you are out, a card will be posted through your letterbox with instructions on how to collect your delivery from the sorting office. If you do not collect your delivery from the sorting office it will be returned to us. We will contact you if this happens. Re delivery of your order will incur an additional postage charge. Free delivery only covers the first delivery. You should keep your delivery note and all packaging and should notify us immediately if any of the order is missing or damaged. ParadePins Ltd. conforms to the Distance Selling Regulations, which are designed to protect you when buying items by Mail Order. You have the legal right to cancel your order for most items within 7 working days of receiving the goods. However, this right does not apply to certain items such as personalised products and perishable goods. If you wish to cancel using this right, you need to inform us in writing within 7 working days starting the day after you received the goods. You must take reasonable care of the goods and immediately return them to us in the normal way. We will not consider that you have taken reasonable care of the goods if they have been used in a way or to an extent beyond what would be reasonable when examining the goods in a shop before purchase. You will have to pay the post office to return the goods but we will refund these costs to your original payment method. ParadePins Ltd. 7 The Labbott, Keynsham, Bristol, BS31 1BD. our products being faulty or defective. All present and future copyright, design rights, unregistered designs, database rights, registered and unregistered trade marks (including the Poppy Pins Ltd trade mark) and any other present and future intellectual property rights and rights in the nature of intellectual property rights existing in and to the Site including content published on them such as text, graphics, logos, banners, images, buttons, underlying source code and software, are owned by us or the applicable licensor. Nothing in these Terms shall be construed as an assignment to you of any such intellectual property rights. Permission is granted to electronically copy, and to print in hard copy, portions of the Site for the sole purpose of placing an order with us or using the Site as a shopping resource. You may post reviews, ratings, messages, comments and other content which may be disclosed, submitted or offered to us on or through the Site or otherwise (“Submissions”). display such Submissions throughout the world in any media. in connection with a breach of any of these warranties. 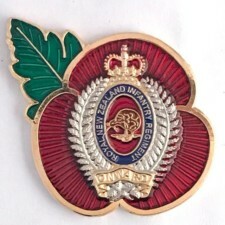 We expressly exclude, to the fullest extent permitted by law, all liability of Poppy Pins Ltd, its directors, employees and other representatives, howsoever arising, for any loss or damage suffered as a result of your (i) use of, or inability to use, the Site; or (ii) use of or reliance on any content displayed on the Site. All content, text and graphics on the Site, unless specified, are directed solely at those who access the Site from the United Kingdom. We make no representation and will not be held liable for any use of the Site by individuals who access the Site from other locations. Information transmitted via the Site will pass over public telecommunication networks. We make no representation or warranty that the operation of the Site will be uninterrupted or error free and we will not be liable to you if for any reason the Site is unavailable at any time or for any period or if there are any errors. Citizens Advice Service or Trading Standards Service.